Great for purse and travel. Each individual acetone-free, moisturizing wipes whisks away all traces of lacquer from all 10 nails, leaving a fresh lavender scent. .. 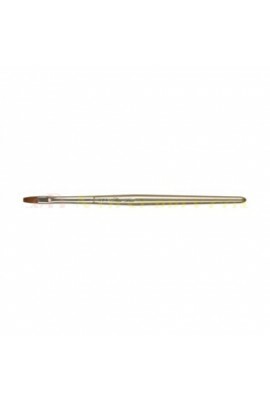 The ultimate acrylic sculpting brush! 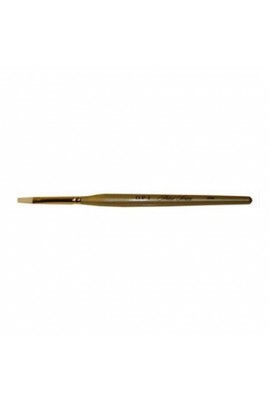 Tapers to an exacting point perfect for details and clean, crisp smile lines. 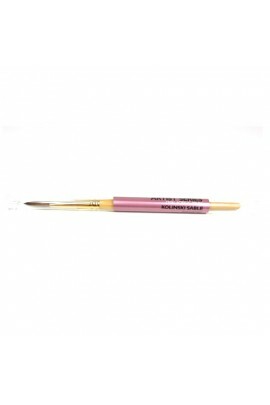 100% natural Kolinski bristles Firm, resilient, high-quality bristles provide excellent liquid retention and effortless.. 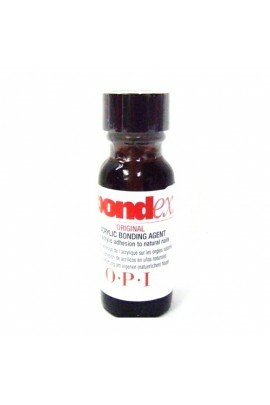 Ideal for thin applications of Axxium Soak-Off Gel Lacquers. Great size for gel nail design! 100% natural Kolinski bristles Supple, high-quality bristles for exceptional applications. 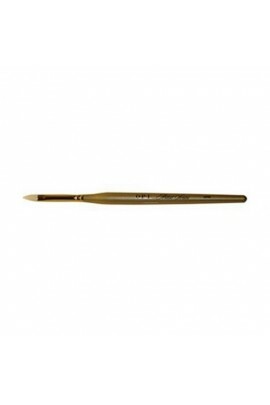 Short, slim handle Artisan-made handle that won..
OPI Artist Series brushes are designed for use with all gel products. Slim handle with a balanced grip for ultimate work-ability, white synthetic hair with a supple spring that is ideal for all gel applications and an elegant champagne color h..
For acrylic adhesion to natural nail. One coat of this patented, proven formula produces a strong bond between the nail and acrylic without burning, etching or foul odor. Use Bondex in conjunction with any conventional powder and liquid sy..
Keep calm and carry on with take-along nail essentials to add strength, turn up shine, and smooth dry cuticles! Beautiful nails area ready to board! 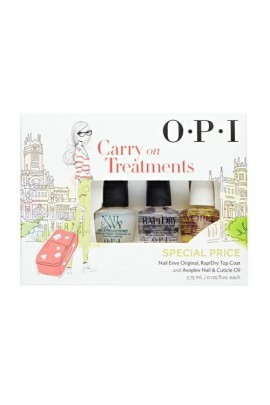 Carry On Treatments Set Includes: Nail Envy Original - 3.75ml/0.125floz..
OPI Blendable Lacquers - 2015 Color Paints Collection OPI Color Paints are a new line of nail polishes that let you play to create your own masterpieces. 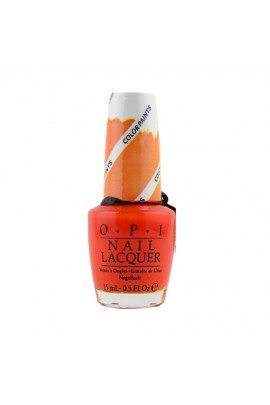 OPI Color Paints allows you to layer and mix colors to create one-of-a-kin..
Chromatic Orange NL P21 - This freshly squeezed orange is awash with color OPI Color Paints are a new line of nail polishes that let you play to create your own masterpieces. OPI Color Paints allows you to layer and mix colors t..
Indigo Motif NL P25 - I have designs on this deep midnight blue OPI Color Paints are a new line of nail polishes that let you play to create your own masterpieces. OPI Color Paints allows you to layer and mix colors to create on..
Landscape Artist NL P27 - The lush, verdant green of wide-open vistas OPI Color Paints are a new line of nail polishes that let you play to create your own masterpieces. OPI Color Paints allows you to layer and mix colors to cre..
Magenta Muse NL P23 - This sultry red-violet is truly inspiring OPI Color Paints are a new line of nail polishes that let you play to create your own masterpieces. 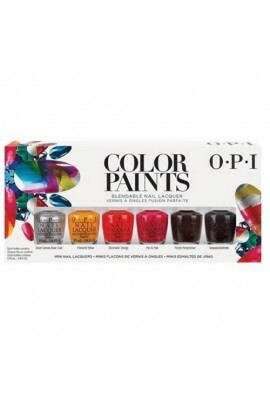 OPI Color Paints allows you to layer and mix colors to create on.. Pen & Pink NL P22 - I'm irresistibly drawn to this rosy pink OPI Color Paints are a new line of nail polishes that let you play to create your own masterpieces. 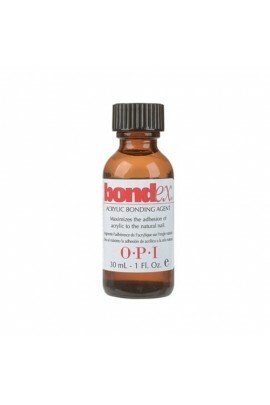 OPI Color Paints allows you to layer and mix colors to create o.. Primarily Yellow NL P20 - Paint some sunshine with this glowing yellow OPI Color Paints are a new line of nail polishes that let you play to create your own masterpieces. OPI Color Paints allows you to layer and mix colors to cr..
Purple Perspective NL P24 - The depth of this purple is mesmerizing OPI Color Paints are a new line of nail polishes that let you play to create your own masterpieces. OPI Color Paints allows you to layer and mix colors to creat..
Silver Canvas NL P19 - A clean-slate silver to illuminate your masterpiece OPI Color Paints are a new line of nail polishes that let you play to create your own masterpieces. OPI Color Paints allows you to layer and mix colors t..
Turquoise Aesthetic NL P26 - Beauty is in the eye of this deep blue aqua OPI Color Paints are a new line of nail polishes that let you play to create your own masterpieces. OPI Color Paints allows you to layer and mix colors to ..
OPI Blendable Nail Lacquer - Color Paints 2015 Collection - MINI OPI Color Paints are a new line of nail polishes that let you play to create your own masterpieces. 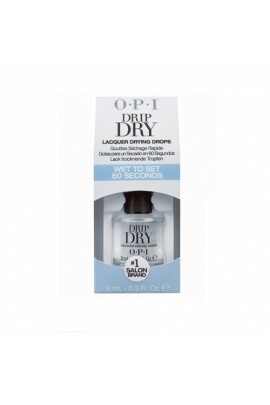 OPI Color Paints allows you to layer and mix colors to create o..
Dries nail lacquer in five minutes with just a few drops while treating cuticles to a soothing dose of jojoba and antioxidant Vitamin E. Recommended to be used with RapiDry Lacquer Spray. ..
Wrap your wrist in a lacy cuff and your nails in strength! Envy & Lace includes: OPI Nail Envy Sensitive & Peeling Formula - 0.5oz / 15ml FREE Lacy Cuff .. 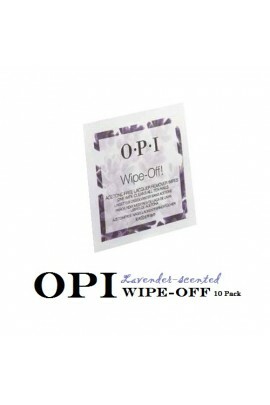 Easy-to-Use, economical removal wraps with attached absorbent pad. 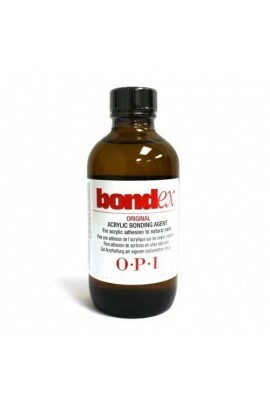 Ideal for removing soakable gels, acrylics, wraps, glitter nail lacquer and nail art. ..